As the exclusive licensed builder for the United Kingdom we can offer the Naiad range of designs. Naiad has been the world specialist in the design and construction of rigid hulled inflatable boats (RHIBs) since the late 1970's. Naiad focused on creating high performance hulls, rapidly building respect and a strong reputation for hull design and strength. 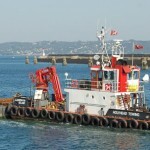 In addition they realised that existing vessels had non-detachable fenders. They decided to make the fenders relatively cost-effective and easy to replace, like the tyres on a car, creating a dramatic improvement in value to their customers. Their buoyant fenders are fitted to the hull as non-structural components, easily removed for repair or replacement. This entirely new concept was tested and refined in their first one hundred boats over a period of five years. The system proved to be excellent, and they have continued to improve their designs over a further two decades. In 1996, Naiad developed a removable foam fender system as an alternative to air filled buoyant fenders, utilising a urethane and foam construction suitable for extreme commercial use. In 2002, they enhanced their air filled buoyant fenders to incorporate a middle layer of closed cell foam for heavy commercial applications. Ranging in size from 2.5 metres to 24 metres and powered by outboards, diesel jets and stern drives, Naiad vessels are now used by governments around the world for customs surveillance, fisheries protection, Police and Coastguard duties, and are used as commercial and pleasure vessels for fishing, diving, surveying, pilotage, tourism and as tenders for yachts. 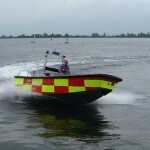 Naiad is now considered the world's leading designer of custom designed and built RHIBs for commercial use.